BULAWAYO, Sep 25 2012 (IPS) - If women had equal access to productive farming resources, they could increase their yields by 20 to 30 percent and potentially raise total agricultural output in developing countries by 2.5 to four percent. This is according to a draft concept note yet to be released by the Global Forum for Rural Advisory Services (GFRAS), an advocacy organisation. The information is based on the organisation’s work through its Working Group on Gender Equality in Rural Advisory Services, which aims to ensure that more women are able to work effectively as extension agents to better serve women farmers. Extension services provide information, training, advice and technical support to farmers to help them improve productivity and farming methods. “Women farmers make up a big percentage of agriculture production, especially in Africa. However, there are only a few female extension officers in the field,” said GFRAS executive secretary, Kristin Davis. According to the summary, the increased food production by women farmers would in turn reduce the number of undernourished people in the world by 12 to 17 percent. 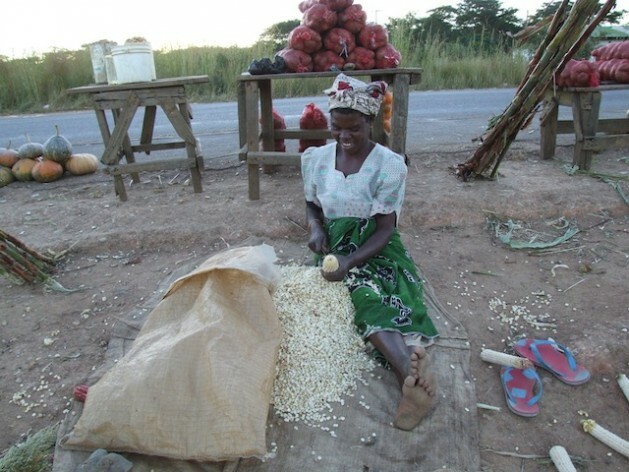 For example, enhanced productivity calculations from Malawi and Ghana show that equal access to inputs and services would increase maize yields alone by 17 percent. She told IPS that it was unfortunate that most extension services mainly work with male farmers, as most development policies have implicitly assumed that farmers are men. “Advisory services are therefore seriously constrained in overcoming these biases,” Davis said. A majority of extension agents are men who are not trained to work with women farmers, according to the Modernizing Extension and Advisory Services (MEAS), a United States-based initiative formed to transform and modernise extension systems in developing countries. The organisation is currently undertaking an analysis of what is needed to strengthen national agricultural extension systems in 20 developing countries, including Kenya, Nigeria, Malawi, Mali, Peru, Uganda, Burkina Faso, India, Ecuador, Cambodia and Myanmar. “Extension systems in the poor countries of Africa, Asia and Central America need to undergo a significant change to effectively serve the needs of small-scale male and female farmers,” said Burton Swanson, the former director of the MEAS Project and professor emeritus at the University of Illinois. “Our goal is to transform these extension systems so they can play a key role in both increasing farm incomes and improving the livelihoods of the rural poor, especially farm women,” he said. According to GFRAS, women are key to global food production and effective extension. On average, women make up 43 percent of the agricultural labour force in developing countries, ranging from about 20 percent in Latin America to almost 50 percent in sub-Saharan Africa. According to Alliance for a Green Revolution in Africa president Jane Karuku, issues affecting women farmers include the fact that “women feature relatively little as decision makers and beneficiaries” in cash crop farming. She added that outreach methods, such as on-field training, favoured men over women even in how they were scheduled and organised. She said there were too few women working in most public extension systems. “Extension programmes in Africa face important challenges in reaching smallholders, especially women farmers,” Karuku added. Karuku was speaking to IPS ahead of the African Green Revolution Forum, which is being held in Arusha, Tanzania from Sept. 26 to 28. The forum is aimed at developing African-led food security solutions and Karuku will be a keynote speaker. “The forum dialogue will show that investing in women smallholders and rural entrepreneurs as agents of agricultural and economic change has significant social and financial benefits. It will highlight the tremendously beneficial cascading effects –increasing household incomes, improving food security, and reducing poverty levels in communities and societies,” she said. She added that in order to improve the production of Africa’s women farmers, labour-saving technologies were urgently needed. “They will go a long way towards reducing rural women’s triple burdens – in the household, on the farm and in post-harvest processing – all of which are responsibilities that women disproportionately have in Africa’s agricultural production systems,” she said.